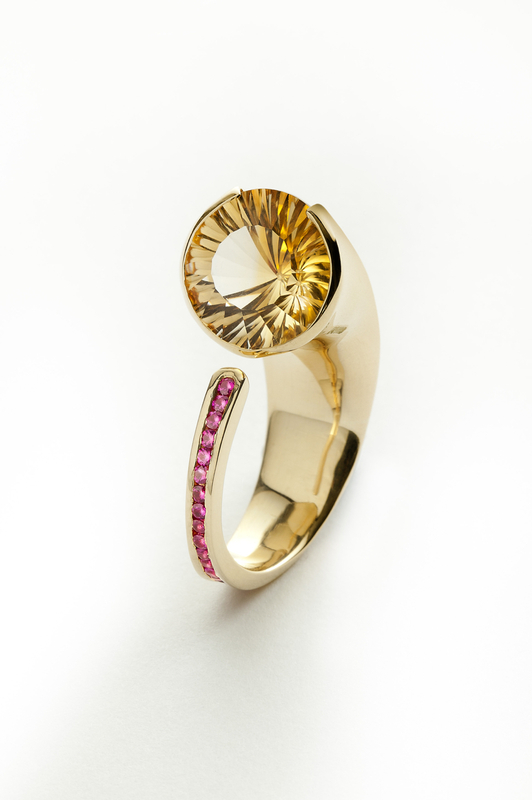 18kt yellow gold, concave cut citrine & rubies. 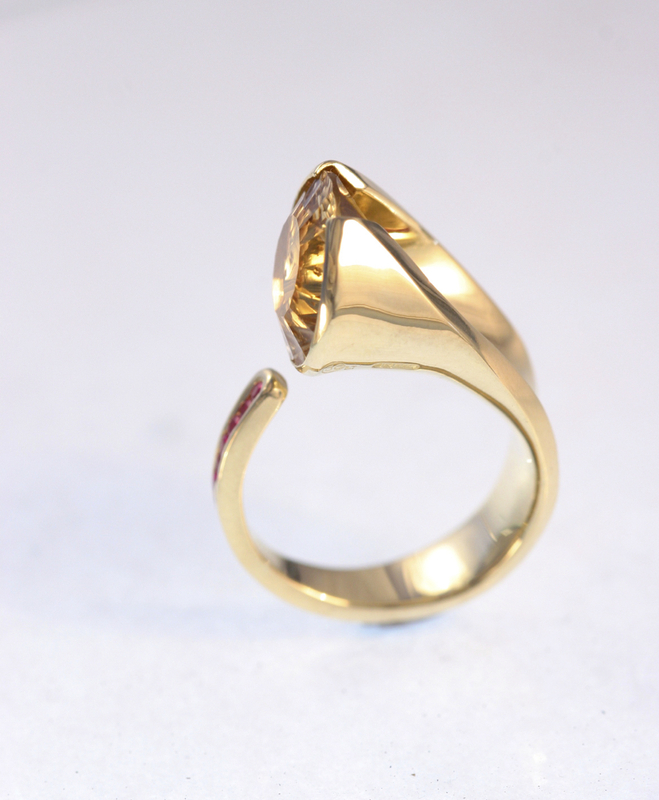 An exploration of holding a gemstone in a ring. If the metal is formed to make the setting, then what would be the minimal way to wrap that form into a continuation around the finger. 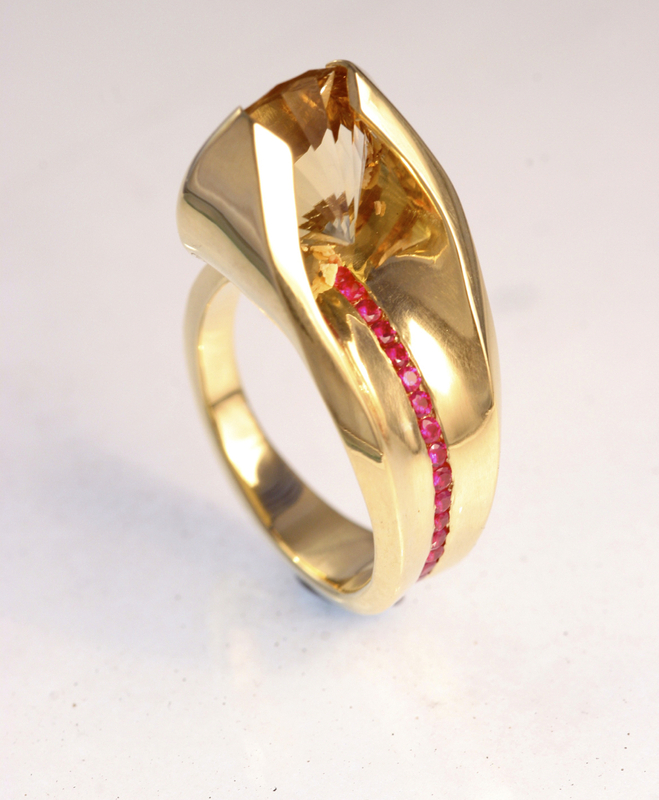 The rubies trace a line along the base of the concave curve.